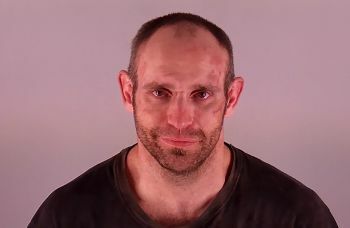 ALFALFA, OR -- A wanted man allegedly led Sheriff’s Deputies on a pursuit through Alfalfa, Thursday afternoon. A deputy tried to pull over a Jeep at about 12:20 p.m. near the Alfalfa Market Store, east of Bend, for minor traffic violations, but the driver refused to stop. After several miles, deputies utilized a PIT Maneuver, which caused the suspect to lose control and roll his car near Johnson Ranch Road. The suspect, later identified as 34-year-old Stan Glover, climbed out of the overturned Jeep and ran through the pasture. He was caught by deputies and after a brief struggle, he was arrested. Glover suffered minor injuries in the pursuit and crash and was taken to the hospital before being booked in the Deschutes County Jail. He faces numerous charges, including Resisting Arrest, Attempting to Elude and two outstanding felony warrants. In July 2015, Glover was accused of Driving Under the Influence during a hit and run crash in Bend.